The most discussed topic on Terran forums is the difficulty of TvP. I am not going to comment on the issue itself in this post, but simply share some details that can be implemented at all level to help you with the match up. Less QQ and more pew pew. Do not try to wall off with two supply depots and a barracks against Protoss as this is vulnerable to early 1x Zealot + 1x Stalker + 1x Mothership Core pressure. Although the Protoss units cannot get into the main, the supply depot can be gunned down by the range attacks. Your Marines cannot get in range to attack the Stalker above the ramp. If you pull Scvs to repair, Protoss will be glad to kill the Scvs. This was common when Heart of the Swarm was two months old. But isn’t it more dangerous if these three units get into the main? Before this question is answered, another question has to be addressed first. Why do you position yourself in the main? I am not saying it is wrong to be in the main at that point of time. It depends on build used. For example, if you go for a conventional one barracks gasless expand, the bunker and command centre should be down at the natural. 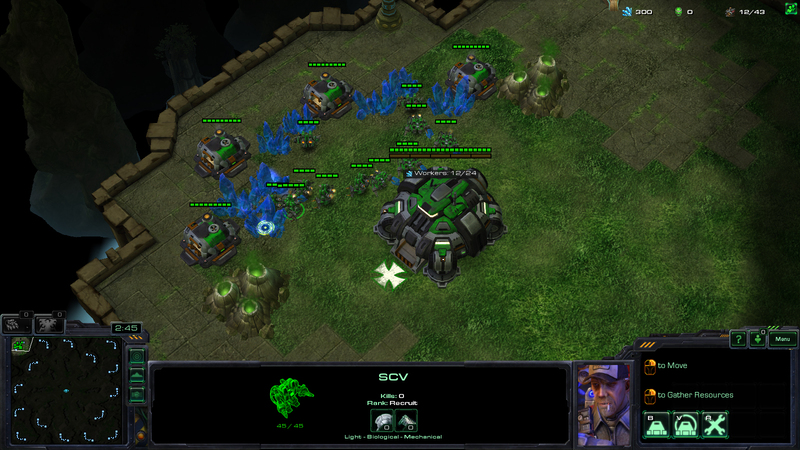 The three Protoss units situation mainly occurs when you go for Reaper opening or an early reactor on barracks build. Your Marines are relatively late. You may have just one to two pairs of Marines when the three units reach your base. It is dangerous to go down the ramp. What about I build a bunker at the natural right after I start the command centre? The Zealot can pick out the Scv that is building the bunker and it will snowball down. Now go back to the first question of the last paragraph. Your Reaper should see this coming. You can build a bunker on top of the ramp (assuming you build the command centre in the main) and you should not loss anything. Of course, high level players can use Reaper to delay opponent from moving across the map. An engineering bay block for Reaper opening also serves the same purpose. Nevertheless, against Protoss, there are more disadvantages than advantages to wall off blindly with 2x supply depot and 1x barracks. This is a continuation from the first point. The first depot is crucial in spotting proxy in the base. 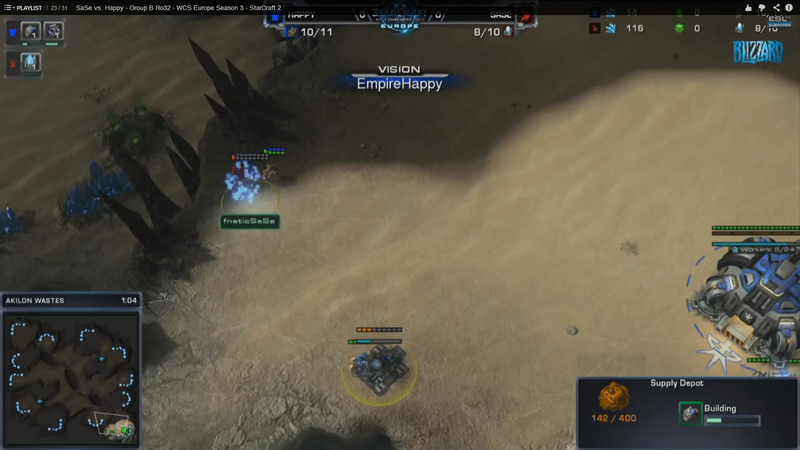 The above image is taken from the recent WCS match between Happy and SaSe. Happy built his first supply depot at the side to spot for potential proxy. The supply depot can also be built at the ramp to spot the Probe sneaking into the main. Although I recommended not to wall off blindly, it is fine to just build one supply depot at the ramp. There are two advantages. One is to spot for proxy Probe. Two is to prepare for wall off in case opponent proxy outside your base. Sometimes when I scouted opponent proxy two gates outside my base, I just react by building one bunker and one supply depot to finish the wall off. It is easier than building two supply depots and one bunker. Simple. Just build supply depot to block the gaps at the mineral line of each base. This is to minimise damage from Warp Prism Zealot harassment. The supply depot will delay the Zealot from walking into the mineral line to attack your workers. When Protoss move the Warp Prism behind the mineral line and warp in units, the Zealot will attack the closest enemy unit/structure (based on the rage generated). The supply depots that block the gaps at the mineral line will draw the Zealots to charge at them. This gives you time to move your units to the location and/or move your Scvs away with minimum damage. You may argue that why not build more buildings behind the mineral line to the extent that there is no space to drop. Perhaps even trap the Zealots there? This argument may apply to the main and natural bases, but may be not the third and so on. This detail can be applied to any base. What if the Warp in is not at the mineral line? Well, the purpose of this detail is simply to minimise damage and not to serve as a one stop solution. I am sure you guys heard of the famous quote “when behind, dark shrine”. This is the mantra of Protoss. From Terran perspective, “when ahead, build turrets” is a reasonable response. When you are ahead, spare some minerals to build one turret at each mineral line, and one at the entrance of the natural. This can prevent Protoss from making a come back with Dark Templars. 5. Build turrets in main when you have three bases or more. This helps to deal with Warp Prism harassment. You cannot really afford to build turrets at the edge of main when you are on two bases. Furthermore, it is relatively easy to deal with Warp Prism harass when you are on two bases because you are not stretched geographically. So as you land your third, build turrets in the main. These details may not address those late game issues suggested on forums, but they should improve help with the match up in general. Again, less QQ and more pew pew. This kinda reminds me of an old post that I have made last year regarding the Protoss late game phenomenon.